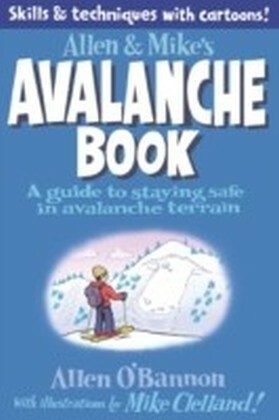 With more and morepeople heading into the winter backcountry on skis, snowshoes, and snowmobiles, avalanche safety is of paramount importance.Allen & Mike's Really Cool Avalanche Safety Book distills the sometimes overly technical informationof snow scienceinto a user-friendly format with helpful illustrations and easy-to-understand text. With years of experience as NOLSinstructorsto draw on, Allen O'Bannon and Mike Clelland team up to give winter recreationists the information they need tostay safein the backcountry, including how to prepare for your trip, proper equipment and how to use it, snowpack assessment, choosing safe travel routes, decision making, and rescue scenarios. Written for both aspriring winter backcountry travelers and experts alike, this book is a must-read for anybody who loves to experience the solitude and beauty of the snowy mountains.